Pandan cookies always intrigue the guests who come to our house. 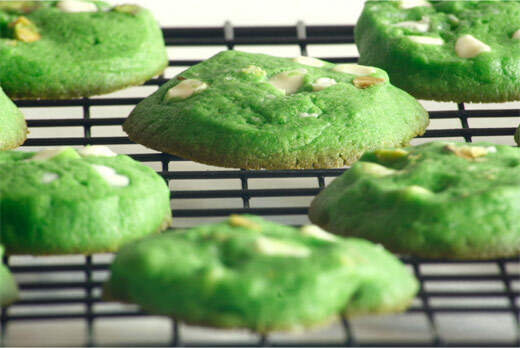 The green color from the pandan paste makes the cookies very original, and after the first bite, our guests are amazed at how great they taste. Daddy's friend, who lives in Minnesota, loved them so much that I decided to send a basket of two dozen cookies to him as a care package. When I was a child, Maman would use pandan leaves to flavor steamed jasmine rice. It's also used in many Vietnamese desserts, such a rau câu. 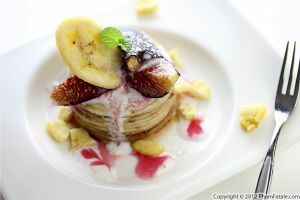 That inspired me to try using pandan in Western dessert recipes. I often fuse the ingredients of one cooking tradition with the recipes of another. 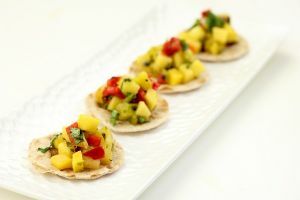 It’s a great way to create new dishes. 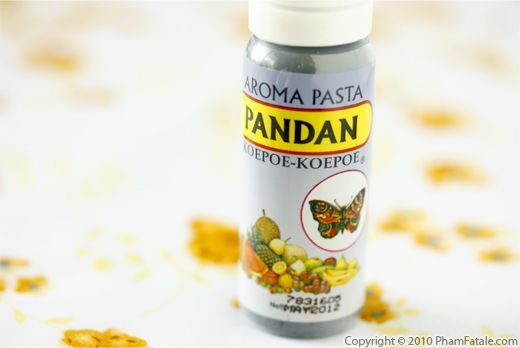 In fact, the very first recipe posted on PhamFatale.com was for pandan cookies. 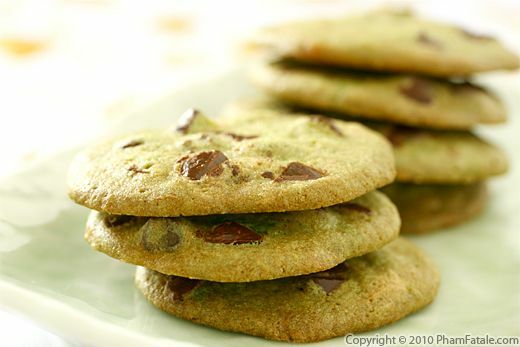 In that recipe, I used pistachios and white chocolate chips. Both are great, but I think the cocoa in semi-sweet chocolate pairs especially well with pandan. Changing ingredients and coming up with new dishes is a big part of the culinary journey I've been sharing with you for a year and a half. After all, that's what cooking is all about. The history of cooking is really the history of the migration of people from one place to another. As they traveled, they adopted and adapted the local cuisine, creating many of the classic dishes we enjoy today. I hope you enjoy my small contribution to this tradition. In a mixing bowl, beat the egg with granulated sugar for about 5-6 minutes. You'll get a pale, yellow foam and the texture of the eggs will be thicker. Alternately add the dry ingredients, brown sugar and butter to the eggs and blend with your fingers until the cookie dough comes together. Add the pandan paste and knead the dough until the color is uniform. Finish with the chocolate chips. Remove the log from the freezer. Unwrap it and slice the logs into ½-inch thick disks. 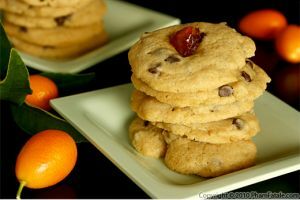 Place the cookies on a silicone mat or a sheet of parchment paper on a baking sheet. 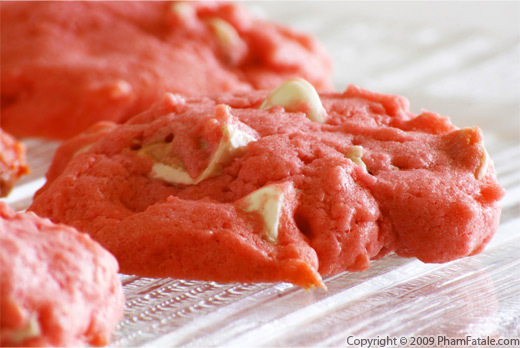 Make sure to space the cookies about 2 inches apart so they don't touch each other, as they'll expand while baking. Bake for about 5 minutes at 375°F, then lower the heat to 350°F and bake for another 6-8 minutes. Transfer the cookies to cooling racks. Allow to cool completely. Instead of my usual 2 eggs in the cookie dough, I only added 1 egg for dense, crispier cookies. I used Valrhona chocolate bars from the local market. 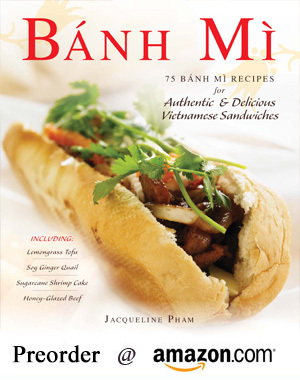 Published By: Jacqueline Pham on April 29, 2010.